Rays Tiara was created thanks to one of our beautiful brides. 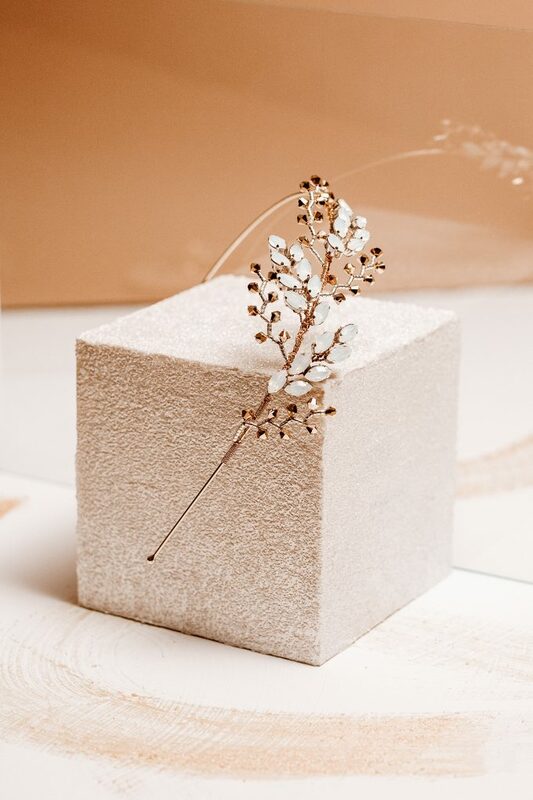 She dared the designer to use the Swarowski Crystals leafs and turn them into a statement piece. Adorning the design with the unique Swarovsky beads branches handcrafted in the Magnolia Atelier the Rays Tiara was born. the piece is made on a hard headband finished with soft ball ends so the piece is comfortable on the head. Wear it with finished smooth hair for a minimal but glowing appearance..